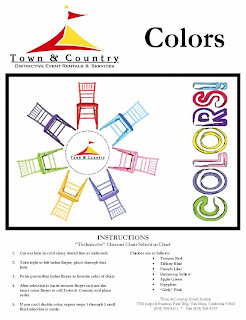 Town and Country Event Rentals has just added colored chivari chairs for rental. These are a great alternative to the traditional gold chivari chair and will certainly add a pop of unexpected color to any event. I would love to use the pink chairs for an ultra-girlie bridal shower.